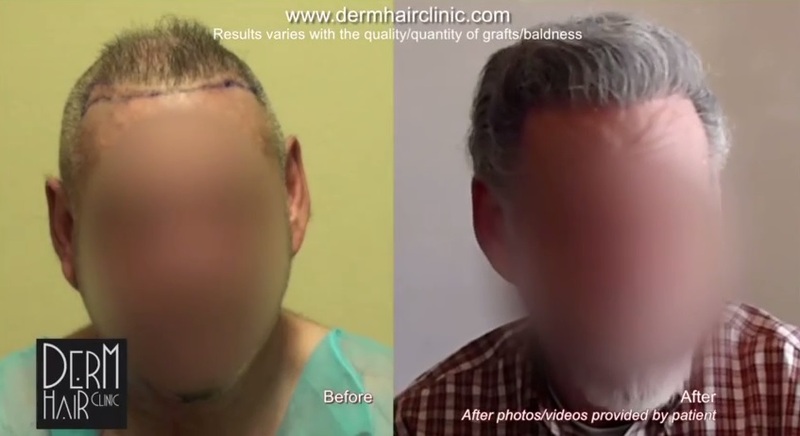 The patient in this video wanted to conceal the scars from previous procedures and add greater density to the sparse regions of his head. He also desired a more youthful looking hairline. The pursuit of normal and fuller looking results was a journey that took about 35 years. This patient had undergone numerous attempts at hair restoration. These included procedures that are now considered outdated as well as more modern forms of surgery. Although there were times when improvements did emerge, they were only fleeting. With each operation, the patient was left with fewer and fewer head donor follicles. Therefore the number of grafts needed to create the type of coverage that he wanted could only be attained by relying on other sources for grafts. 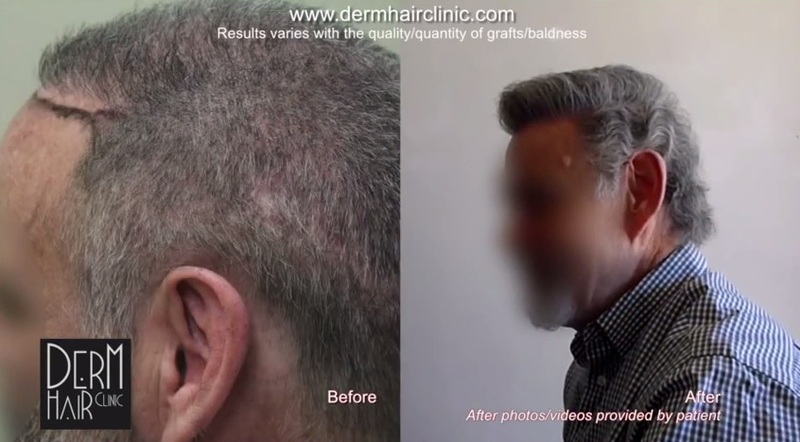 The patient learned about Dr. Umar’s specialization in body hair to head transplantation through You Tube. He decided that this might offer him new possibilities to finally end his search for the right procedure. And it turned out he was right. Dr. Umar extracted a donor supply of 7300 grafts. These were harvested from the chest, beard areas. The insertions of these follicles produced excellent growth yield. Here are before and after photos. 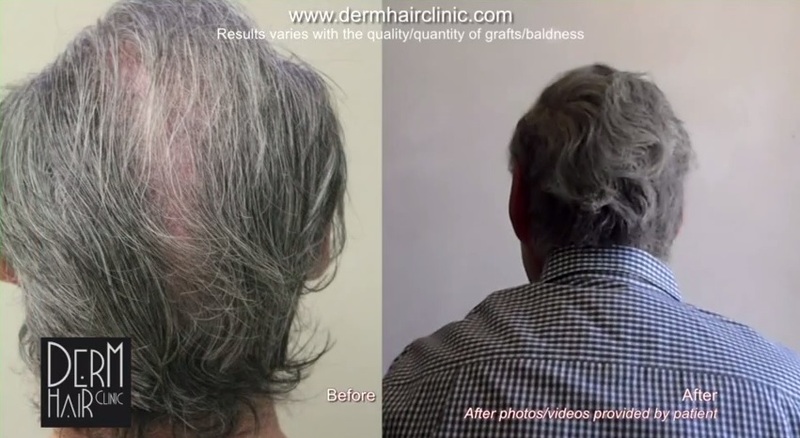 The patient provided the final images of his results one year following his procedure. The patient’s images of his results are actually from a video that he created which includes a very interesting narrative where he describes his overall experience. As someone who has experienced transient successes in the past, he is very pleased with the resiliency of his beard hair grafts. And he is also happy with his renewed appearance, especially for his college class reunion. He notes in his video that his current hairline looks exactly the same as the one he had in 1964. And he can look forward to seeing his old fraternity brothers with a strong sense of confidence in his appearance.